The FBI released the below piece. He was, in the words of the assistant U.S. attorney prosecuting him, a “financial predator.” And the federal judge he recently stood before called his long-term fraud crime spree “outrageous” and “despicable,” noting the more than 500 victims ensnared by his latest scheme. The individual in question is Harris Dempsey “Butch” Ballow, a Texas man who had seemingly made a career out of separating people from their hard-earned money through various financial scams—starting back in the 1980s. But that career has finally come to end: The 75-year-old Ballow was sentenced in May to 40 years in prison after pleading guilty to defrauding investors in a Nevada company. He was also ordered to pay more than $37 million in restitution to those investors. In this most recent scheme that netted him the 40-year prison term, Ballow and co-conspirators were able to buy up the majority of the publicly traded shares of a Nevada company called E-SOL International Corporation and install fictitious people as company officers. At the time, E-SOL had almost no assets and conducted no business. Ballow then rebranded E-SOL as a holding company for a couple of phony businesses—of course controlled by him and his associates—and got to work soliciting investors. One of the particular scams involved Ballow—through his phony companies—selling land and ownership interests in a number of proposed resort developments in Mexico. Potential investors were even taken on tours of the properties. Of course, explained Hopper, there were never any actual resorts built. 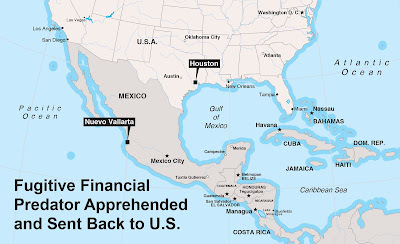 During his five-plus years in Mexico, Ballow and his criminal associates opened various bank accounts in Mexico and several other countries and transferred millions of dollars in investment money from his clients into these bank accounts—and ultimately into their own pockets. But the gravy train ended in July 2010, when Ballow was detained by Mexican authorities on an arrest warrant issued by the Southern District of Texas related to his previous money laundering conviction. He was extradited back to the U.S. in April 2011, and not long after that, he was sentenced to 10 years on the money laundering charge. Also in July 2010, the same month Ballow had been apprehended in Mexico, he was indicted again—this time related to the E-SOL stock fraud scheme. A few months later, his co-conspirators were indicted and additional charges were lodged against Ballow. This complex case, which started in the FBI’s San Antonio Field Office but was eventually moved to the Houston Division, was worked closely with the Internal Revenue Service’s Criminal Investigation (CI) Division—in particular, IRS-CI Agent Aaron Gogley, who was detailed to an FBI Houston task force. 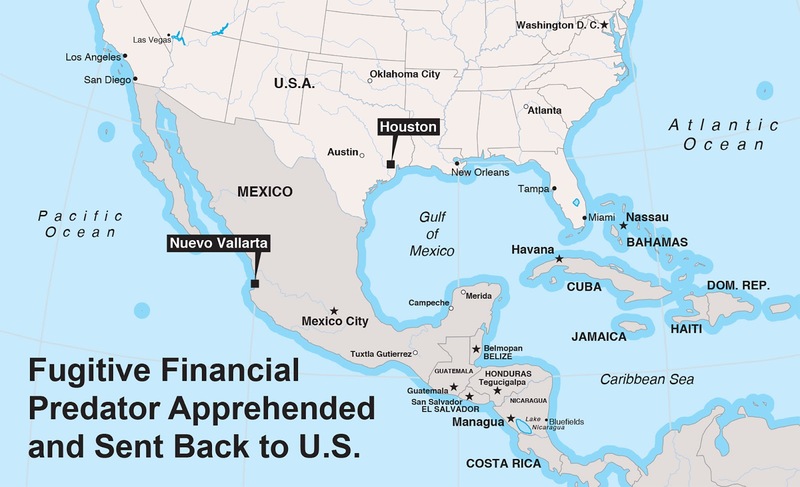 In addition to the IRS, the Bureau received invaluable assistance from authorities in Canada and Mexico, along with the U.S. Marshals Service and Postal Inspection Service. This case was yet another example of the importance of multi-agency collaboration—even across national borders—in solving crimes and protecting the public.